Fisher and Paykel is an astounding brand of the refrigerator – to start with. They have been coming up with some excellent products that seamlessly serve their customers. However, even the most advanced and the most reputed brands of electronic devices at times go for a toss. That does not determine the stature and quality of a brand that is so famous though. The catch lies how fast and how effectively you can arrest that glitch and bring the device back into order. Take, for instance, the instances when the bulb of your Fisher and Paykel fridge is not working. Here is where we at Commercial Fridge Repairs Excel. Our trained techies, when contacted will come up with a solution and fix the issue in hardly any time. However, this only half solves the issue. Even though we are there to take up the responsibility of addressing issues like these, it is your responsibility to know the root cause of glitches like this. This helps you to ascertain situations and take evasive actions at ease, without panicking. We have seen people pressing the panic button unnecessarily, even when the lights go off, being oblivious of the fact that this problem has NOTHING to do with the cooling capacity of the device. 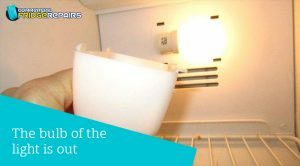 So before you call us, there are quite a few reasons that will tell you why the lights of your refrigerator at times go out. 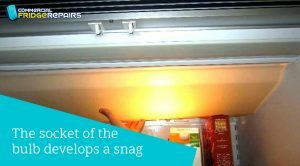 This is THE most probable cause of the light of your fridge not working. The coil inside the bulb simply snaps with time, and this knocks the bulb off. If so, simply replacing the bulb with a new one will fix the issue. This is another root cause behind the Fisher and Paykel fridge light not working at your home. If so, then you will not be able to solve the problem by simply replacing the bulb with a new one. You need to check the socket and see it has bent or disfigured terminals or the wire is damaged or snapped, or if there is any loose connection. At times, a cracked socket is also the reason behind this type of glitch. You need to summon our technician, who will turn up to fix the problem at the blink of an eye. The door of your Fisher and Paykel refrigerator is a device, which lets the voltage pass on to the light bulb, whenever you open the door. 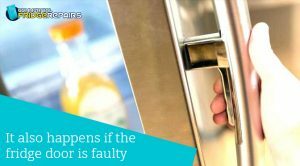 If replacing the bulb or fixing the bulb socket fails to solve the issue, or if both the bulb as well as its socket seem to be in perfect health, it ought to be something related to a faulty door. Do not try anything yourself unless you are an expert. It may further worsen the issue. Give us a call at the number you find on the official site of Commercial Fridge Repairs. Our technician will visit your address as per the appointment and fix up the issue. 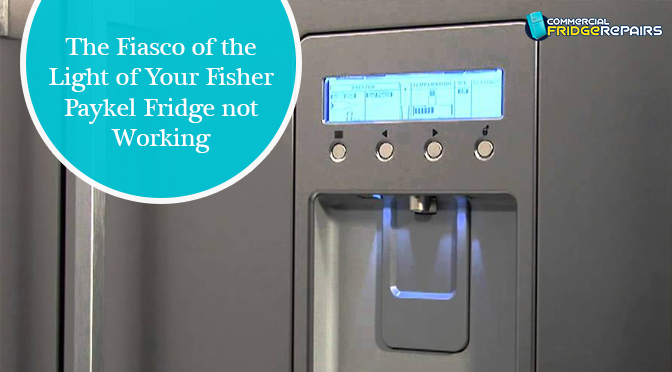 Rest assured – all our techies are immensely experienced and are overtly knowledgeable to solve these and other more complicated glitches of Fisher and Paykel refrigerators. Previous PostTips of Using the Commercial Chest Freezer to Ensure Proper CoolingNext PostDoes Your Walk-In Coolroom Indicate These WARNING SIGNS?